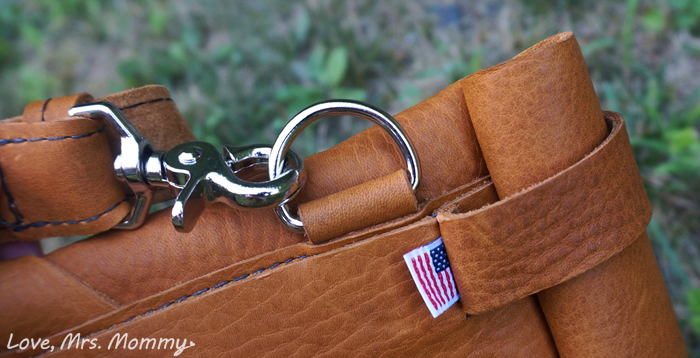 Love, Mrs. Mommy: Having Everyday & Extraordinary Adventures in Style w/ Copper River Bags! Having Everyday & Extraordinary Adventures in Style w/ Copper River Bags! I received this bag at no cost to facilitate this review. All opinions are my own. No doubt about it, I love traveling! You don’t need to go far to have an adventure, there is so much to see and do in our own beautiful country. I have been using a certain “travel bag” for about 10 years. I have carried it all over and it definitely has sentimental value that will be hard to replace, but, it’s time… The last few trips I have taken, it just wasn’t big enough to store everything I needed in it. Especially now that I have a little one! That’s why I am thrilled to partner with Copper River Bags to tell you all about my new, and amazing travel bag! I’m excited to have received the Medium 14” Original Courier Mail Bag in Tan Grizzly to review. It’s a gorgeous color, made of high-quality leather, that is so soft and flexible. The detailing is impeccable and it truly does have a feel of old-world craftsmanship. Plus, it is guaranteed against defects in workmanship and materials for 100 years!! If you or one of your heirs (this is meant to last!) experience an issue, they will repair or replace the bag free of charge! WOW! 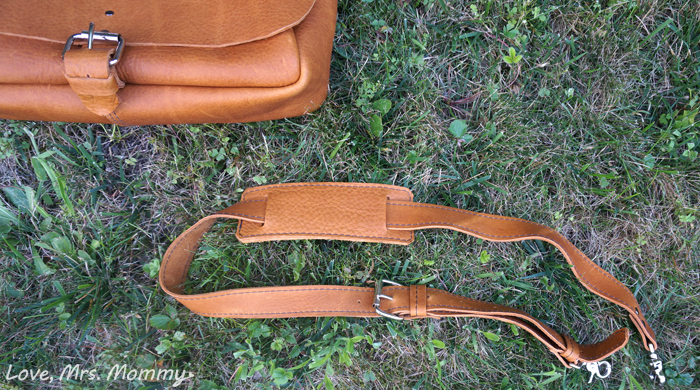 With this bag you have the option of choosing which type of shoulder strap you would like. You can add either a black fabric strap, or a matching leather strap. I chose the matching leather strap and I think it’s the perfect finishing touch to this already stunning bag. Also, if you like, you can add bottom D-Rings to the bag so that you can turn it into a backpack. Perfect for hands-free adventures! Copper River Bags also does customizing! I think it’s really neat that you can have your initials put on the bag. That way everyone knows, this is YOUR bag… hands off! Hehe. They even give you a choice of a few locations to put your initials. Now that’s custom! The details on this bag are fantastic and quality-driven, even the hardware is rugged and durable. I love the adjustable shoulder strap and with all the different lengths to choose from, you will be able to get the perfect length for you. With its deep storage, you can easily fit all your necessities for an everyday jaunt around town, or a fun hiking adventure. There is also a pocket on the backside of the bag, where you can fit some items that you might want fast or have easy access to. Great for plane tickets, passport and other items. Can you tell I have travel on my mind?! I love how each Copper River Bag is made by hand one piece at a time, that’s definitely old-world quality. When you hold one of their bags, you can tell that it was carefully crafted with attention to detail. With storage to boot and durable rugged leather, I feel ready to take on a new adventure! Connect: Find out more about Copper River Bags by visiting their website, then make sure you “like” them on Facebook and follow them on Twitter. Buy It: You can purchase the Medium 14” Original Courier Mail Bag or any of their other gorgeous bags on their website. Win It: 1 lucky reader is going to WIN a Medium 14” Original Courier Mail Bag of their very own! This giveaway starts August 26th, right here at LoveMrsMommy.com! Hi! How do we enter your contest? The giveaway starts on August 26th. :) If you sign up for my newsletter and follow me on Facebook you will receive notifications about the giveaway when it goes live. :) Thanks! This is a really gorgeous bag. I will definitely be looking for the giveaway, thank you for offering it. You're welcome, Melissa. :) Good luck! Awesome thank you so much I've been looking for a diaper bag like this I'm due in three weeks and that's the one thing I haven't received yet! I have a friend that owns one of their bags and they love it ! I saw the teaser a few days ago..can't wait to enter. Thanks for hosting this gorgeous USA bag! I would so glove to be the lucky winner, but if I'm not good luck to all that has entered and have a safe and happy summer. That bag is absolutely beautiful. Nice review! Omgosh this bag is gorgeous!! Beautiful color, perfect size and yay for being made in the USA!! I would love this for school, I love the size and the room it has and those straps are awesome! This would be so amazing to win, thanks for this opportunity! 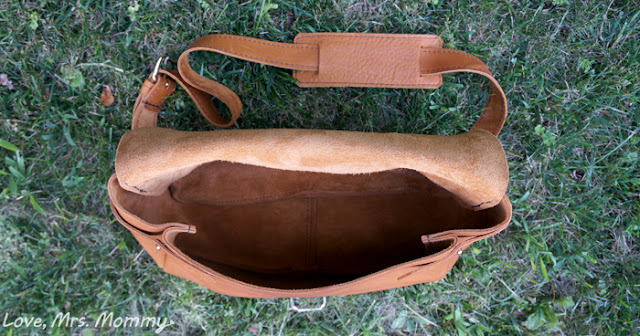 gorgeous leather bag! I love the little American flag!! What? Now that's really big. To guarantee a product against defects and replace at no cost to the consumer?! I really need one of these bags. I will be the first to admit that I can be "rough" on a bag but sometimes purses and tote aren't made very well. 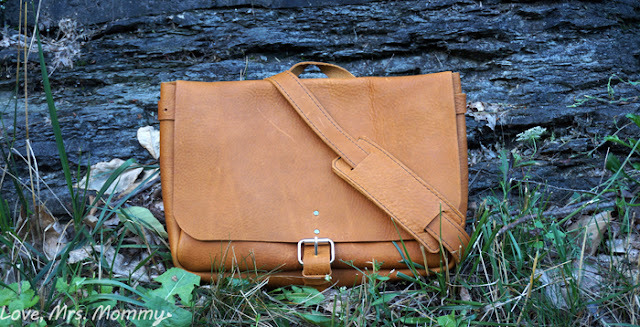 It is nice to know people still make quality leather goods like this today. This is beautiful and so well made.I'd love to have one of these. What a beautiful, handmade bag! I can see using this for my laptop and having to hide it from my teen when she comes home to visit from college! Awesome looking bag! Thanks for the giveaway! This is a beautiful Messenger's Bag. I love the fact that it's made in USA and that it's lightweight. This bag looks like it is very well made out of quality material. I would love to have one of these bags for my laptop. Thanks for the review. Nice bag.. it'd make a great accessory for the laptop I just got for my b-day! I love the craftsmanship of this beautiful bag and that it's made in the USA! I'd love to give this to my daughter for school. Thanks for the opportunity! I could really use this for my laptop. I'm currently using a reusable shopping bag, help! Great review, love the craftsmanship. Such a lovely bag. And, oh, the use it would get should I win one. We live about 2 3/4 hours from our daughter, granddaughter, and great-grandson. Generally when we go see them, we stay overnight. I don't need much, but this looks to hold what I do need. This is a really kwl looking bag, like that will hold everything I need. Choices, choices, choices...color strap width...would be glad to make one in thus case. This would go great my various red electronic gadgets! I have always been impressed with Copper River bags. Made in the USA!! Love it! My daughter and I like it in the Tan Grizzly. What a great size and design. I love the craftsmanship of this bag and also the fact that it is made in the U.S.
A great looking travel bag. It is made of leather so it should be rugged and last a long time. So much storage space to boot. Love these bags! Fingers crossed that I win it. I could use a little good luck for a change! Beautiful bag. I would love to have one of them -- liked the camera bag on their facebook page as well. Very nice bag. This bag is really made well. I love how stylish this looks but yet seems so durable with many useful features. I love leather bags & this one is super gorgeous. I would dearly love to win this bag. Thank you for the giveaway & the chance to win. Have a super holiday weekend. God bless. I love that the bag is made in the USA, and the details are beautiful! The quality looks amazing and I love how nice and deep it is. Beautiful! I love this bag! It's made in the US, lightweight, and cute! You Gave a Wonderful Review and Video of this Gorgeous Bag. Enjoyed Watching! Beautiful bag! I'd love to win it. Thank you! I really do love the way this bag looks and it is water resistant too. I could really use this, but right night could not afford one. Thank you for the opportunity to win this awesome bag! This bag is perfect! I must have it!! Sounds great and made in the USA. The 100 year warranty is out of this world. Thanks for sharing. Love Copper River Bags' commitment to quality craftsmanship and materials - and their 100% guarantee is fantastic, as well! This bag is gorgeous! It's amazing they offer a 100 year guarantee. The design of this bag is perfect. Definitely want this. I like leather bags for durability and the 100 year guarantee is fantastic. This is such a beautiful and well-made (in the USA!!) bag - perfect for my daughter! The bag looks durable, buttery-soft and can hold a small laptop or tablet. Such a nice bag. My daughter would love. This bag is gorgeous, I have fell in love with it. I has everything I need in a bag. Really beautiful bag. This is just what I need too! it looks like a very high quality, beautiful bag!! This is a beautiful bag! I love leather bags!